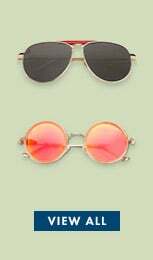 To recreate my fashion mantra, I had ordered a pair of quirky round eyeglasses from the John Jacobs Slim collection at Lenskart and boy, was I mesmerized by the new pair. With seamless delivery and without any payment hassle, I received my frame within 2 days of placing the order. Each one of my family members, friends and colleagues complimented me on my new quirky look achieved by wearing the stylish glasses. I would rate the Lenskart service with 5 stars. Extremely happy with the service. I loved the Vincent Chase Stardom collection and hence ordered 2 pairs the first time itself when I went through it. They were actually so stylish and celebrity-esque that they could transform my look instantly. Extremely happy with them. Thank you Lenskart. Bought a sleek pair of eyeglasses from the John Jacobs Fiber Steel collection and I was not disappointed. Pristine, ultra-refined and impeccably graceful, the eyeglasses added a dash of charm and sophistication to my look. Moreover, with Lenskart, there was no hassle with the payment and delivery. Extremely delighted with the service. Thank you Lenskart. Wanting to experiment with my style, I ordered a brand new pair of eyeglasses from the John Jacobs Wooden Edit collection. And no wonder my decision proved just right. With the retro styling, organic material and a seamless fit, I was absolutely impressed by the quality of the pair. A thumbs up to Lenskart for ultra-fast delivery and an unbeatable experience. Ordered a pair of Vincent Chase Revo sunglasses and absolutely loved them. They make me look like a fashionista every time I step out wearing them. All of my friends so loved them that they also ordered the very same pair from Lenskart. Jazzy, chic and quite the crowd-puller, they are perfect for me. Love you Lenskart! Busting the myth of buying eyewear online in India, Lenskart has captured the eyewear market like never before. I too wanted to check out the infinite collection of eyewear on the portal. As I was browsing through the impeccable assortment of eyewear, I bought not just one but two pairs of eyeglasses. And that too premium brands like Vogue and John Jacobs. The payment and delivery were carried out without any difficulty. Kudos to Lenskart for the perfect online shopping experience. My second purchase of sunglasses has been as seamless and effortless as the first one. Thanks to Lenskart for delivering my glasses in the perfect condition. I also received special vouchers along with my spectacles, which was like a cherry on the cake. Now I am planning to make my next purchase very soon. Thumps up to Lenskart for providing superior quality products at unbeatable prices. There is only one word which comes to my mind with which I can describe Lenskart’s service – unbeatable. I placed an order for a pair of John Jacobs spectacles in a hurry as I had to leave for a meeting in a day’s time. And on my special request, the executives at Lenskart made sure to deliver the eyeglasses on an urgent basis due to my prior commitments. Hats off to Lenskart for such an amazing service. Having saved money to invest in a pair of Ray-Ban Aviators, I finally decided to place an order with Lenskart rather than going to an optical store. Through the virtual mirror I could easily try them on my face. The payment and delivery were seamless. In fact, the product got delivered even before the estimated time. Heads up for providing such a brilliant service. Buying my first pair of eyeglasses from Lenskart proved to be the best decision. I chose a pair of spectacles from the First Frame Free category which would complement my face and taste. As soon as the order was placed, I started receiving updates regarding the details of dispatch and delivery of the product directly through SMSs. The glasses were delivered in the perfect condition, well in time. Thank you Lenskart for the great service and experience. Hi! First of all, thank you Lenskart for the amazing variety, discounts and timely delivery. I was going through the net struggling to find a present for my father, when I purchased the Vincent Chase Round Black eyeglasses. He had a similar frame long ago which he loved and couldn’t find a piece like that anywhere. Vincent Chase frames made it a perfect gift for him this Father’s Day. I wasn’t getting time to shop for sunglasses. So I decided to buy Aviators online and I am so glad to see Lenskart has so many brands of Aviators. You guys have an amazing variety that is impossible to get anywhere else. Also my product got delivered within 3 days, I am so happy. I am looking forward to make my next purchase soon! 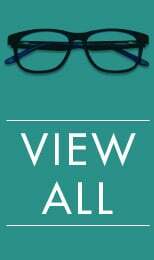 Hi, I was just having a look at the website, you have an amazing collection of eyeglass frames too. I loved the wooden frames with the tortoise print on them. Last time I checked the wooden mirrored sunglasses were there. But now they are all gone out of stock. This time I just made a purchase, because you never know next time one will find the same frame or not. Hi, I just bought Chhota Bheem sunglasses for my little one, they got delivered yesterday. My son is a huge fan of Chhota Bheem cartoon character and since yesterday he is roaming around everywhere with his new pair. The glasses are fine and I love the colourful collection on lenskart. I will soon purchase another colour for him. Yay! Got my Ray-Ban’s today! I have been ordering from Lenskart every now and then. They are bestest in eyewear collection and their packaging is too smart, I actually get goose bumps before opening it. And the best part is their delivery. Product always arrives before the given date. Hello, It’s my first time, shopping eyewear online, but the experience was great! Lenskart has such a huge collection in famous brands that I couldn’t resist. But it felt risky until I got my Vincent Chase’s eyeglasses delivered. Lenskart’s virtual mirror helped a lot in deciding the frame style, I have been using them since last 3 days they look extraordinary and the fits just perfect. My new wooden eyeglasses got delivered today! I always had good experience buying from you guys. And yet again I received my product just right on time. The last two purchases I made for me and my sister were satisfying and we both loved our Vincent Chase sunglasses. The product descriptions were very helpful. Buying eyeglasses online can be risky but my latest purchase took few simple steps and I am glad to tell it looks awesome. As a first time customer my experience with lenskart was really good. Their customer service staff is really warm and helpful. As I don’t feel confident ordering eyewear online, I made changes in my order twice and they were guiding and helping me throughout. I ordered new frames for my mom on this mother’s day they came with absolutely perfect fit and they looked much more than seen on the website. She liked them very much and I thank lenskart for that. Good Experience:-Experience of buying from Lenskart.com was a pleasant one. The prices were competitive, large collection of frames, you can find any kind of frame here. The transaction was seamless, and the product was delivered well before the date I requested with the Customer Care Executive. Thumbs for the impeccable service. The product was well packed so that it did not get damaged during transit. Various vouchers for your next purchase is a welcome. Lens quality guarantee certificate and many other documentations inside the box. The product was the same as shown in the description, though you cannot make out size of the frame using their "own photo" reviewer. The quality of the product was good, no unintended bends, no colour bleeding, sturdy frame. Lenses are the main vital unit of a spectacle. Quality of the lenses were undoubtedly better than those being sold in the local market keeping in mind, the price comparison among these and local retailers. These spectacles were for my Mother and she liked it from the first look of it, though she was not that convinced when reviewing over the website but after opening the box and using it for the first time, she just gave me a thumbs up!!! Amazing Team of people behind this wonderful initiative called "Lenskart". I just had my pair of glares delivered and Gosh!! What packaging! Good Work Team Lenskart. I give you guys a complete 5 star rating! Awesome experience. Very fast shipping. I ordered on 17th got it on 19th. Great product and unbelievable price. Hi Guys, I just wanted to thank you for the prompt service I have got. I placed the order on Tuesday night, 10:30 pm; I had ordered Vincent Chase Sunglasses. I received the shades today, half an hour ago. Plus, I was constantly informed about the order through messages from Lenskart. Great job guys, keep up the good work. Customer service agent Ms. Divyanshi did an awesome job today. She helped me make a decision and made a sale by proactively sorting out my problem. LensKart is very professional. You are so organized right from the time of the order to the delivery. Who cares now for GKB, Titan Eye +, Vision Express or Lawrence&Mayo!!!! Your delivery is faster than retail opticians. You care for your customer and are honest. Thanks for the Tips for caring for lens and specs. You follow all the technical details as well. Amazing! We love you Lenskart. I would like to take a moment from my schedule and thank you for the response LensKart showed for my order. The quality, packaging is brilliant like always. What was more important is that the delivery time of just two days was achieved before time. Once again, thanks a lot. One of the greatest online shopping sites I have ever seen. I got my delivery in just 2 days’ time. Awesome service. I love it! I had a very good online shopping experience with Lenskart. They provide an exciting range of sunglasses for kids at a very less price. We should all shop with them! I never imagined that I could purchase my specs online but LensKart made it possible - perfect match. Thank you, Lenskart. Really awesome experience from you guys. Thanks a lot for the support and the add-on gift that you have provided with my order. I just got a call from your representative stating that the lenses have been upgraded to anti-glare, which I had chosen by mistake while placing the order. But thanks a lot for the necessary change, it was an amazing experience. Really, I never expected this from any company in India. But you made the difference in customer service. Thanks again! 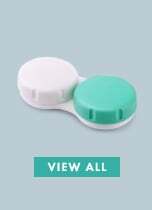 I received the product that I ordered as replacement and I am pleased to inform you that I am completely satisfied with it. My instructions regarding fitting were taken care of and the lenses have been placed perfectly in the frame. My overall experience of purchasing eyeglasses online has been made pleasant by your constant help through the transaction. I am highly satisfied with the service you provided me since the first purchase that I returned with your help. Thanks. Dr. Sunil Berwal. Sometime back I had tried your “Home Try on” service in Bangalore. It was only after visiting 5 different stores in my locality and getting put off by unreasonable prices and limited stock, that I decided to go for the home try on service by Lenskart. The whole process of the Lenskart team coming to my home, checking my eye sight and helping me choose the right frame for me, was a sheer delight for me. And since then I have recommended Lenskart to many of my friends here. I am very delighted by both your product and the service. The product came in great finish and I am very impressed by the little innovations you have done in your services - the "return shipment" pack, the little handbook to tweak and correct the frame posture, a little know-how booklet about the product and your service, a discount coupon to lure me into buying your product again. These little things have surely appealed to me as a customer and I really appreciate you taking care about what the opticians normally wouldn’t do. Thank you, Lenskart, for making my birthday so beautiful with the flowers. It really made my day! I usually order my contact lenses from Lenskart. But, on my birthday it was a big surprise for me when, out of nowhere I received flowers from them. It was a nice gesture. Keep it up! I am looking forward to shop more at Lenskart. Lenskart rocks! Till date I have ordered four pairs of eyeglasses and I have found not a single problem. The prices are reasonable and the service is exemplary. After buying from them I have never visited any local optical shop. So, I would definitely recommend Lenskart to everyone here. I just received my delivery of two pairs of sunglasses. Believe me; such great quality, fast service, awesome customer support and a great order track record. I can’t wait to shop with them again! Lenskart, I am loving every bit of it. I would suggest everyone to try Lenskart at least once and then you will love them till the end. I just ordered a pair of spectacles from your website. Initially, I did not trust your website. But, the quality of product I received from you has changed my opinion. I thought one cannot order specs online because one cannot try them online but the pair I received today turned out to be exactly the same displayed online. I am very thankful for your excellent quality product and I am looking forward to shop with you again. Lenskart, you guys are awesome. I ordered a pair of shades yesterday and it cost me like Rs 250 and they were so nice. I ordered them only yesterday and I received tem today. Plus, you've sent me a whole bunch of coupons to make use of on my next purchases. Seriously, I love you guys! It was a delighting experience to buy my specs online through LensKart. They delivered to me the highest grade quality product, just within two days - from Noida to Pune. Even local shopkeepers would not have offered me this kind of service. Many thanks, Lenskart. Thanks to the Lenskart team, the quality of lens and frames that I received is more than the value of what I spent. Really, it was beyond my expectations. LensKart dispelled all my fears by attending to the prescription suitable to my eyesight and giving me just the pair of specs I had wanted. Keep it up. After having some trouble with payment, LensKart’s customer service team really helped me out. I am very pleased with your service and the politeness in the customer service agents’ answers. They helped me cancel orders I had made by mistake and sent me links for making the right payment and now everything is in order. Thank you, LensKart. Lenskart, this is my 6th pair of Vincent Chase glasses I have bought! I am thoroughly enjoying your collection. Keep it up. Cheers! I would like to appreciate the efforts of Jayanti from the LensKart support team. What I really liked is the dedication with which she kept on following up with me until I was completely happy and satisfied with the product that I was purchasing as I was confused as to which frame to select. I might have bothered her by hanging on for long duration on calls. But, I appreciate her patience while dealing with a confused customer like me. Kudos to your team for the Home-Try-On initiative. I bought Vincent Chase Wayfarer sunglasses four times from LensKart and all of these were taken by my friends because they loved the trendy collection so much. I’m going to buy a fifth pair for myself. Miki Taneja Mumbai Aug 20, 2013. As summers were approaching I wanted to buy spectacles that do the work of a glare also. I was browsing the met and came across this online optical store-lenskart.com. I had such a great experience shopping from them, that not only I got my spectacles but also a frame, free of cost. I am definitely going to recommend, this website, to my friends also. I do not go for the online shopping option ever, as I thought it is not reliable, until I shopped from Lenskart.com. I bought a very smart pair of sunglasses for my tour to Singapore, from this online store. The biggest advantage that I got was that you can try the frame on your face instantly and can decide for which one to go. The time on delivery and the gift wrap was the bang on factor for me. My glasses were 100% authentic and genuine. It was a very endearing experience for me to shop from Lenskart.com. Neha GandotraHyderabad July 23, 2013. LensKart has brought a big relief for me because due to lack of time I was unable to buy a new pair of spectacles for many days. But I needed them urgently. However, it has solved my problem and despite lack of time, I got my glasses delivered to my office. I wanted to buy a pair of eyeglasses for my mother. When i saw the home try on facility being offered by Lenskart, i was amazed and much more than happy. It reduced my efforts to go the market or doctor for a check-up. Everything was readily available at a mere click. My mother too was amazed and excited at this thought. It was a great experience when we called the team home and my mother got her eye check-up done. We chose a pair later that very well suited her. I hope more people try this out. I assure them of a delightful and never before experience. Mehul ChoudharyUdaipur Jun 8, 2013. As the summer heat got unbearable, I started to look for stylish sunglasses that protected my eyes too. Each and every wish of mine was fulfilled when i logged onto LensKart.com. The best price, massive collection of stylish and protective eye gear, everything captured my attention. Needless to say, i purchased a pair and got it in a few days time. The product does the best to protect my eyes and keeps me in style. I hope to re-create such a wonderful experience by shopping from here again! Mrinal DuttaGuwahati April 5, 2013. I have shopped from Lenskart before and as usual this experience was also overwhelming. Everytime it manages to bring a wonderful collection with each and every detail laid out. Their engaging customer care executives make me want to know more and shop more. They let me know everything I want to know about and needless to say, I get all the knowledge about the product I wear. Shivika GuptaManali April 2, 2013. I wanted to buy a pair of coloured contacts but was so unsure about everything. How to wear them, their safety, if it will suit me etc. But thankfully there was Lenskart to remove all my fears and doubts. I read their blogs, plus the customer care girl was an angel in disguise. I finally purchased a pair and I love flaunting them. This site has been a huge hit for me, hopefully it will be the same for everyone else. I loved that Lenskart lived upto my expectations. The products and the efficiency was what I could clearly see. From the time I placed my order, till its delivery, I practically had to worry about nothing. I didn't even have to wait for very long. The service was really fast. Since I was purchasing lenses there were a lot of queries to be handled, if I wanted power..its safe use etc. The customer team did a great job, less time consuming and more efficient. Thanks, keep up the good work. Online shopping comes with a boon to shop at any hour of the day and to experience the same, I ordered a pair of vibrant eyeglasses from LensKart.com that is delivered within 2 days. I was fascinated with the fantastic service offered by them. Thank you LensKart.com.- Pratibha, Delhi, Mar 7, 2013 I am one of the biggest admirers of this user friendly website. LensKart.com has a huge collection of eyeglasses and sunglasses from luxury to some local brands available at heavy discounts and at easy EMI facility without facing any financial difficulty. This website has changed an overall experience of online shopping with its fabulous products at reasonable prices and its amazing after sales service. It provides you with product reviews in order to help you with your decision. Thank you LensKart.com for giving such a wonderful experience. I got to know about this website from one of my friend and ordered a pair of power sunglasses from LensKart.com. I was amazed with the price of those power sunglasses available at LensKart.com when compared with other sites and the quality too is very good. I thanked my friend for letting me know about this website and now I will let others know about this amazing website. I never thought of buying any product from LensKart but when my friends insisted to do so, I was surprised or you can say stunned to find all the branded eyewears products here. The collection of every brand was just great. I was scrolling through all the brands collection, before buying the prefect one for myself. Now, I am himself recommended others to buy eyeglasses, sunglasses or even contact lenses from this portal. Good job LensKart! You made my happy by delivering my order well in time. I am even impressed with your after sales services. Looking forward to buy more from here. Thanks to LensKart for replacing my order without any extra amount. I had some bad experience with other shopping portals on the same but you guys have shown the great respect to your customers. All my queries and problems were attained and solved perfectly. "I had a memorable experience of buying sunglasses from here. The aviator sunglasses I got from this web portal were simply mind blowing. Thank you for providing me with the very best product and service quality." 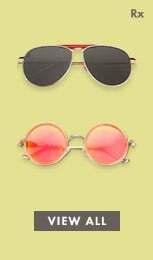 "LensKart has the best collection of aviators and wayfarers which one can possibly get. I am very happy with the type of product and service quality they provided me and that too at a very reasonable price." "The most reliable shopping portal I have come across so far. I got the product delivery on time at my residence and along with a 6-month warranty. Thanks a ton for an awesome service quality." "My opinion about online shopping has undergone a remarkable change ever since I started shopping from LensKart. No other site I had visited so far had so much variety at such a reasonable price. The wayfarers which I had ordered here were delivered within the expected date at my doorstep. I will make it a point to buy eye wear from here on a daily basis. Thanks for helping me to buy the best pair of sunglasses. Thanks LensKart." "Buying eyeglasses was an experience of a life time for me. Apart from a trendy design and excellent features, the site offers free shipping and cancellation along with a 14-day return policy. The Polaroid eyeglasses I bought arrived at the exact date I had ordered. Since then it has made the world around me look far more beautiful than before. Now it's not just me but my whole family which shops from LensKart. I would like to thank the customer care team for providing me with the best after sales service possible. I am simply overwhelmed with happiness." "I would love to thank LensKart.com for delivering the Ray-Ban sunglasses which I had ordered few days back. I am very satisfied with the company's after sales service also." "I would like to inform you that I am really satisfied with the quality of your products and service quality. This was the first time that I had opted for shopping a pair of sunglasses online and so I was quite apprehensive about the service quality. Within two day of placing the order I received the pair at my doorstep for just Rs 400. I will surely refer about your website to others." "My experience of shopping with LensKart has been a pleasant one. Earlier I was really sceptical about buying anything online. But I am really pleased with your offers and service quality. I was facing some problems with the online financial transaction and it wasn't successful. However within an hour I got a call from the customer care team and I was provided with an alternative payment link by them. The product I had ordered arrived in time with good packaging. Moreover I could buy it with a 6 month EMI option without any facing any financial problem." "I am very thankful for providing me with the best kind of after sales service. I got delivery of the eyeglasses on the date I had requested. Thanks again." With my eye power changing so often and a hectic corporate life, it was difficult to take out time for a doctor’s visit so often. Lenskart has made my life much easier with their home eye check-up feature which is so smooth and professional that I was amazed this is happening at my home. The doctors were experienced and gave me the best advice on which lenses I should prefer. Overall, a great experience. I was told by my friend about this home eye check-up program by Lenskart and I could not believe it until I saw for myself. So I filled the online form and what followed really amazed me. The entire check-up was done at my home by such a qualified optometrist and the range of glasses I could choose from was so wide, I was floored. The fact that it all happened at my convenience was the cherry on the cake. I found a few eyeglasses on Lenskart which suited me, but I was not convinced about the fit even from the face-map, as it’s not the same as trying it on your face. So I chose 5 frames to try at home and take my family’s opinion as well. The experience was so smooth and convenient as I didn’t have to step out of my house at all. Lenskart surely deserves applause for such convenient features! The try-at-home feature of Lenskart is truly amazing as I could order 5 frames at my doorstep and try them at my convenience. The range of frames to choose from is very wide at lenskart and now all my friends are doing the same! Lenskart has surely made my life easier. I had not shopped from lenskart before I heard about it from my friend. I decided to buy new specs from there and I was astounded to find that the first frame was absolutely free! I can’t believe I got such an amazing frame without paying a penny. I have recommended this site to all my friends and they were as thrilled as I was. I came to know about lenskart from television and I was just surfing their website when I saw that the first frame was free. I couldn’t believe my luck that I needed new a new frame and here they were offering that for free! This website is truly a delight with so many customer friendly features. I recently brought a pair of Vincent Chase reflectors from Lenskart and they are just mind blowing. The fit is so perfect and I tried them on the face-map feature which is so exact! They are so stylish and trending that I feel like a trend setter myself! Thank you, Lenskart. To update my summer wardrobe, I bought a pair of John Jacobs sunglasses from lenskart and I am loving them! They are super stylish and comfortable as well. Lenskart has such a wide range of sunglasses to choose from that it took me a while to find my perfect pair. Thank you lenskart. The Ray Ban club masters are my favorite and finding them on Lenskart at such an amazing price was just heavenly. I love the design and they are so stylish! If I had to shop from lenskart again, I wouldn’t mind. Thank you lenskart for the best customer service. "My new specs from Ray Ban are just amazing. They are so comfortable yet stylish and the temple design is the best thing about them. Lenskart has so much to choose from that I am considering buying one more! It was also thrilling that they delivered my eyeglasses in just 2 days! Thank you lenskart for the amazing product and service."